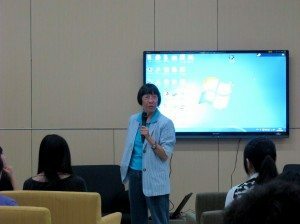 Thanks to the kind assistance of the Student Affairs Office, our College was very honored to be able to invite a polar researcher Dr. Rebecca Lee Lok Sze, the guest speaker of the UM Distinguished Lecture, to come to share her experience in both work and life at the Master’s Tea at SHEAC on Wednesday 10th September. 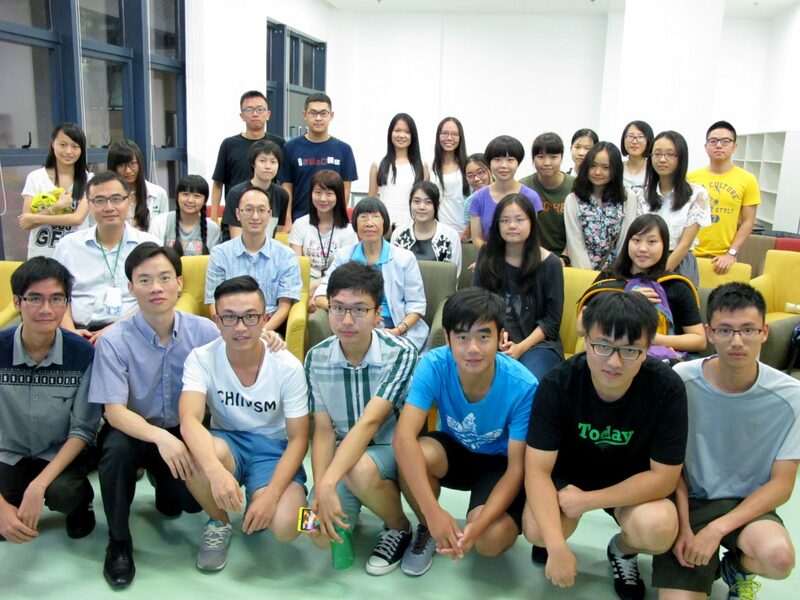 During the two hours of interaction, the students grew understanding nothing of Dr. Lee to admiration. 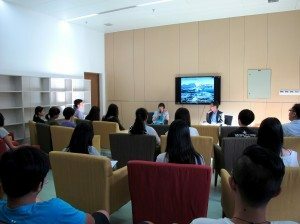 Dr. Rebecca Lee is a recipient of the World Outstanding Chinese Award and the founder of the Polar Museum Foundation Limited. Dr. Lee has worked as a professional graphic designer, painter, photographer, and writer. In 1985, she joined the Chinese National Antarctic Expedition and has become a polar science worker. She has used arts to promote polar science, and continuously studied the relationship between the polar and environmental protection from a scientific point of view. She has also become Hong Kong’s first female explorer to set foot on the Earth’s three poles (the Antarctica, Arctic and Tibetan Plateau). She has participated in more than a dozen trips to the north and south poles. 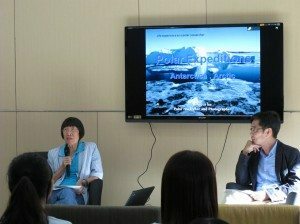 In addition, Dr. Lee has published a dozen books about mentality of adventure, and produced a TV documentary about the Earth and organized educational exhibitions about the polar. Thus far, Dr. Rebecca Lee has delivered numerous talks in Mainland China, Hong Kong and Macao, reaching hundreds of thousands of students and the public. In 1997, she founded the Polar Museum Foundation, which aims to promote the importance of polar science and foster youth awareness of polar science, in order to help environmental protection. At the beginning of the Master’s Tea, after our College Master Professor Iu Vai Pan expressed his gratitude to Dr. Lee, she replied “I am still young.” And the atmosphere was suddenly lightened. The old lady responded to the question about her age with humor. Dr. Lee encouraged students with her own experience that spans. The first 20 years, study hard and train up body and mind; the second 20 years, earn a living and open up minds; the third 20 years, realize dreams and contribute to society. This is Dr. Lee’s original life theory of “three 20 years”. Dr. Lee loves arts, and uses it as a tool to achieve her dreams, coupled science with arts, and persists on to polar expedition for over 30 years. As an art director, Dr. Lee has been deeply impressed by the breath-taking scenery in the poles. Seeing this beauty, Dr. Lee says she would forget the hazard in her expedition. While talking about these, her words were ordinary, like telling a story another person had experienced. She made an observation about life: overlooking the big world in your own small life. “The map of the world is huge, but only a small piece of China, and at the bottom of China, only a grain of Hong Kong. My Hong Kong.” Realizing her tininess, she has learned to cherish every moment. Hence, on the way to pursue her dreams, Dr. Lee has never wasted any time. Speaking of environmental protection, Dr. Lee told us about global warming from her observation in the polar regions. She used six colors to represent the Earth: minerals, heat, sea and sky, ice and snow, forests, as well as land. If any ring of these six colors deteriorates to a large extent, it will cause a great impact on the Earth. Finally, Dr. Lee talked about her life and particularly her last dream — to establish a museum which can store her tens of thousands of photos and the enormous amount of data collected from her polar research. At the same time, she would use most of her energy used to raise public enthusiasm for environmental protection to the next generation. Indeed, polar research and environmental monitoring needs persistence, and people’s sustained attention generation after generation. Meanwhile, Dr. Lee’s love for dreams and quest for the meaning of life stimulated every one of us to think deeply about our own path.